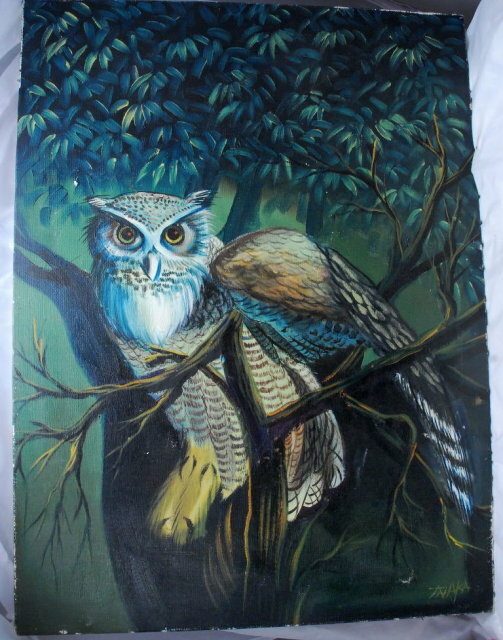 Owl Oil Painting on Canvas signed Tnaka. 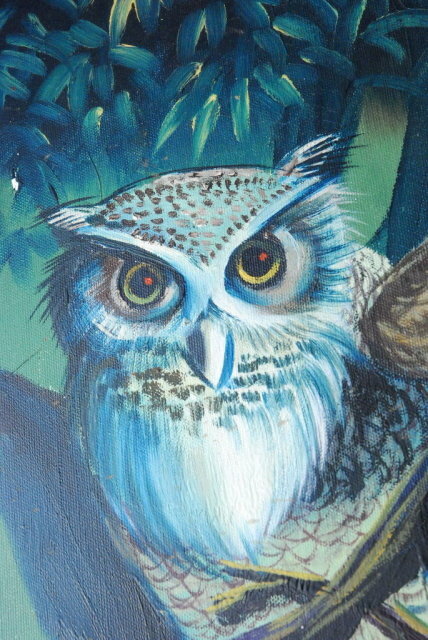 It has a lot of dark green foliage with a striking owl as the subject. There are a few issue with some flaking here and there. 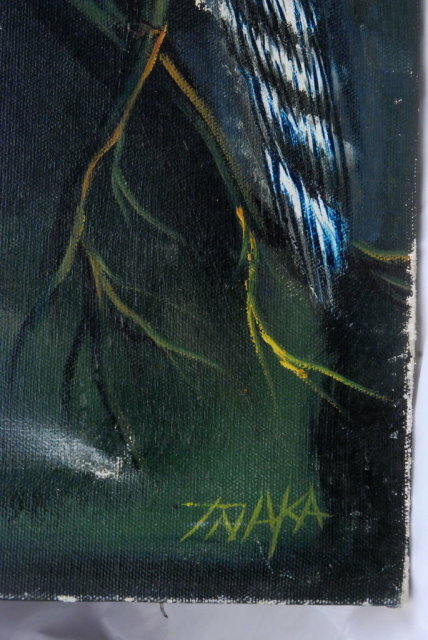 However it call be touched up.